Are you a gardening newbie, who’s looking to spruce up his or her garden? Never fear! Zinna plants provide a low-maintenance but aesthetically pleasing addition to your collection. Cousins to the daisy plant, zinnia flowers come in colors such as orange, pink, purple, red, yellow, and white. Here are some tips to help you grow zinnia seeds in pots. Placement: For your zinnia seeds to grow fully in their pots, they need full exposure to sunlight as often as possible. Keep them in open or partially shaded spaces, wherein they can receive proper doses of sunlight daily. Some good places include windows, balconies, front porches, and your backyard. Also, if you’re planting multiple zinnias in one container, plant them about six to eight inches apart. This way, the plants can grow properly, without getting in the way of the others. Planting: You can’t grow potted zinnia plants through transplantation. You will have to grow them from the seed up. Zinnias are typically tolerant of various soil types, but it’s best to use rich and fertile potting soil, which has a pH level of 5.5 to 7.5. Make sure that your potting soil has been properly drained, to prevent moisture-related problems (which will be discussed below). Place your seeds 1/4th of an inch deep within your potting soil, to facilitate proper root growth. Watering and fertilizing: Zinnias originated in dry climates. They can grow without much watering. While this may be the case, it’s always a good idea to keep your potting soil from getting too dry. Regularly test the moisture of the soil by putting your finger in it, and give it water if it feels dry to the touch. Make sure that the water drains properly, otherwise the excess water will drown your plant and cause root rot. Zinnia plants only need light fertilizing for them to bloom fully. Care: Potted zinnia plants can be prone to common plant conditions, such as parasite infestations, bacterial and fungal growth that leads to wilting, and mildew build-up. In this case, information is your best weapon. 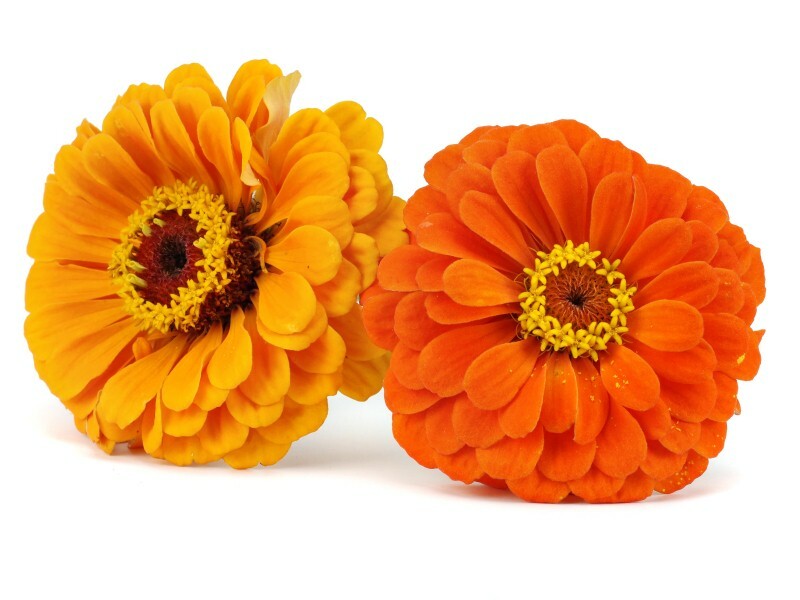 Before applying pesticides, identify the parasites that are infesting your zinnia flowers. Different pests warrant different treatment. As for the plant diseases, quarantine any infected zinnia plants from other ones in their containers, and treat these conditions properly. Harvest: Given enough sunlight and care, your zinnia plants should bloom 60 to 70 days after planting. If you want to expand your zinnia plantation, remove any flower petals that have dried out, and take the seed heads that remain. To remove any seeds that aren’t fit for planting, rub the seed heads between your fingers. Before deadheading any flowers, allow the seeds to fully mature, so you can plant them straight away. Zinnia flowers, while being very easy to grow and care for, make for excellent additions to your garden. These low-maintenance plants are very beginner-friendly, and can bloom rapidly. With enough sunlight, water, fertilizer, and extra care, you can grow the best zinnia plants in pots.